Imagine 50,000 km of wilderness, where no human habitation or structures are permitted. Now imagine it in the south of Tanzania, where elephants, rhinos, hippopotamus, lions, buffaloes, giraffes, zebras and crocodiles roam in larger numbers than any other reserve or national park. You’re imagining The Selous, and you don’t have to just imagine it anymore. This 10-day package begins with four full days inside the reserve with a National Geographic safari guide, moves on to a sunset cruise on the Rufiji River and finishes with a VIP experience on the beach in Zanzibar, Africa’s most famous resort. 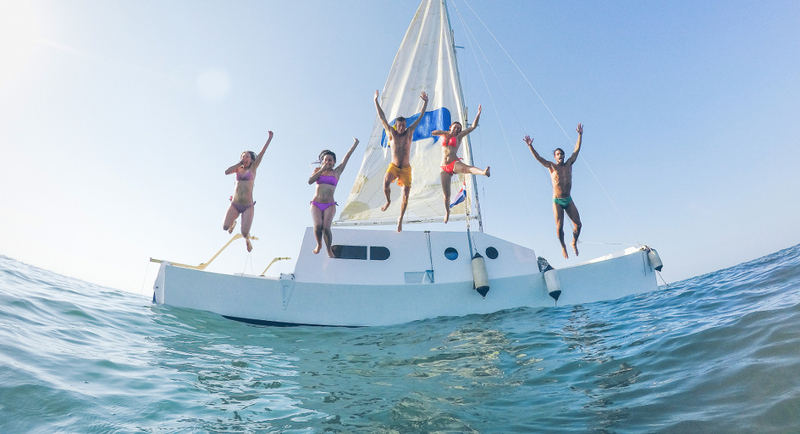 There you can sail, snorkel and watch the dolphins play in the waves. For more information click here view the vacation package details, or send us a message through our contact form and we’ll be glad to assist you. If you are seeking a fulfilling, eye-opening and spiritual adventure, this 10-day journey into the heart of Peru will broaden your mind. Culminating in a hike to the mysterious Incan city of Machu Picchu, this trip includes an overnight in the rainforest, a river cruise in the Amazon basin, a canoe ride on a crystal clear oxbow lake. Observe Amazonian flora and fauna up close, including giant river otter, red howler monkeys, macaws, anacondas, turtles and caimans – and that’s just during the day. Twilight excursions will introduce you to the sounds and sights of the nocturnal population. Meet the Andean people – artisans, farmers and entrepreneurs – who are dedicated to the ecological preservation of this magnificent place. 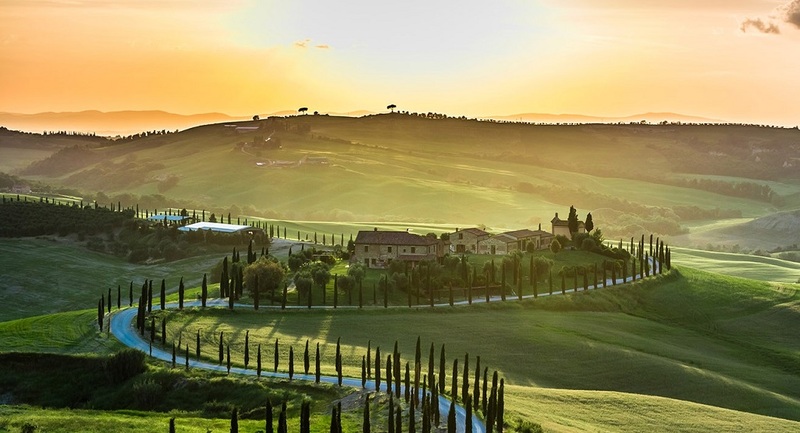 Find your flow in the serenity of the Tuscan hills. This 8-day retreat will refresh your spirit and tone your body with yoga classes offered every morning, and some afternoon classes as well. Spend the day on guided walks in the serene countryside and return for an evening meditation session. A half-day walking tour of Renaissance Florence is included, with ample time for shopping and sightseeing. And no trip to Tuscany would be complete without a trip to a local vineyard for a delectable wine-tasting experience. All meals are organic and vegetarian, with organic fruit and beverages – even organic beer and wine – on offer.Find your flow in the serenity of the Tuscan hills. This 8-day retreat will refresh your spirit and tone your body with yoga classes offered every morning, and some afternoon classes as well. Spend the day on guided walks in the serene countryside and return for an evening meditation session. A half-day walking tour of Renaissance Florence is included, with ample time for shopping and sightseeing. And no trip to Tuscany would be complete without a trip to a local vineyard for a delectable wine-tasting experience. All meals are organic and vegetarian, with organic fruit and beverages – even organic beer and wine – on offer. Fields of lava, glacial pools, epic waterfalls, powerful hot springs and a rich cultural heritage – you’ll find all this in Iceland and you can see it all on this nine-day tour of the island nation’s famous Ring Road. This trip takes you beyond the nightlife of Reykjavik, into the Icelandic countryside, where nature puts on one of its greatest shows. Led by an expert guide, this tour will not only introduce you to Iceland’s impressive geological formations, but its residents too, including puffins and other birds, the unique Icelandic Horse with its Flying Pace gait, and of course the warm and friendly people. For more information on top vacation packages send us a message through our contact form and we’ll be glad to assist you. 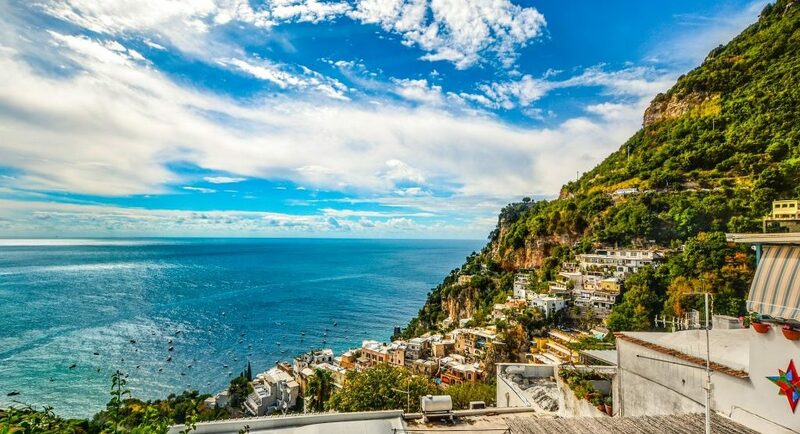 If you’re wondering why Italy doesn’t typically come up in discussions of the best places to SCUBA dive, you can thank the world-class culture, cuisine and architecture that draws most of the tourists who visit this stunning country. Italy has such an embarrassment of riches to offer visitors, it is perhaps understandable that its 7600 km coastline and rich maritime history are edged out of the top ten. 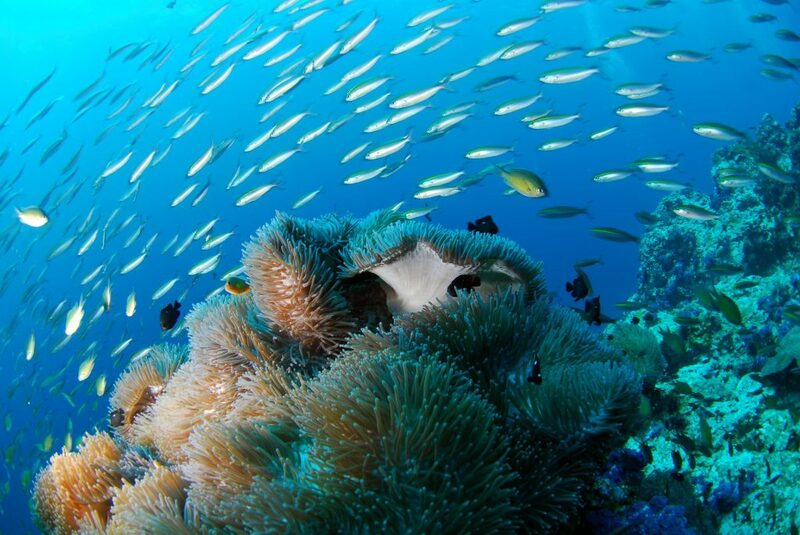 But for scuba enthusiasts, amateurs and pros alike, it is one of the world’s best kept secrets. The Italians have been exploring the waters around their home for three millennia, and probably longer than that. 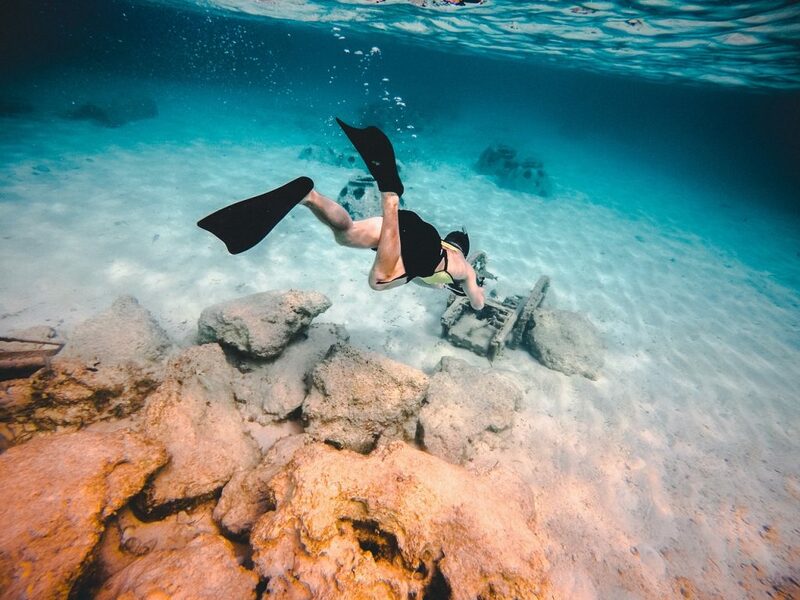 Some of the earliest evidence of free diving has been found near the Italian coastline, and it’s a tradition that continues through the Classical era, right up to the efforts of Italian divers during World World II. Records dating from Alexander the Great’s military campaigns describe the use of a diving bell. 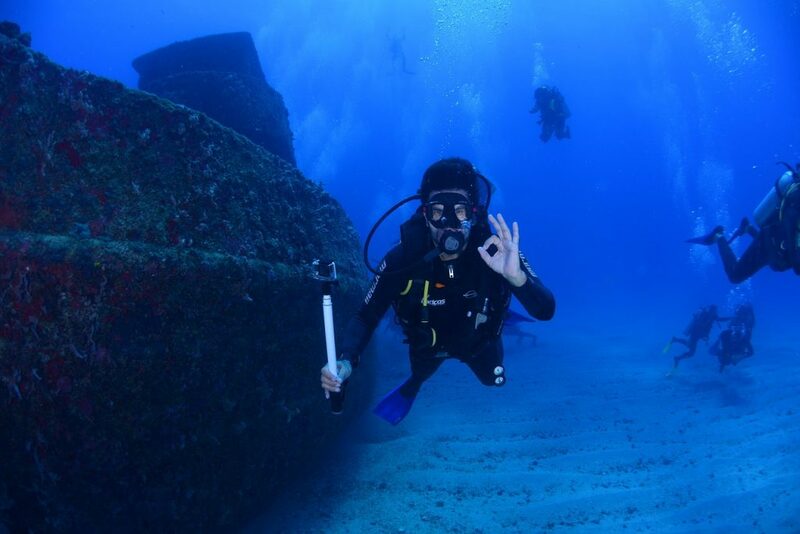 Thanks to this rich maritime history of culture and conflict, the strikingly beautiful Italian Mediterranean coastline offers an enormous variety of underwater exploration opportunities. From vibrant flora and fauna to historical ruins, shipwrecks ancient as well modern, and exciting geological formations associated with volcanic activity, the Italian scuba diving experience has it all. The coastline off the islands of Sardinia and Sicily are a scuba diver’s paradise, with a rich marine biodiversity. This is an area suitable for novice divers looking for memorable reef and drift diving experiences. 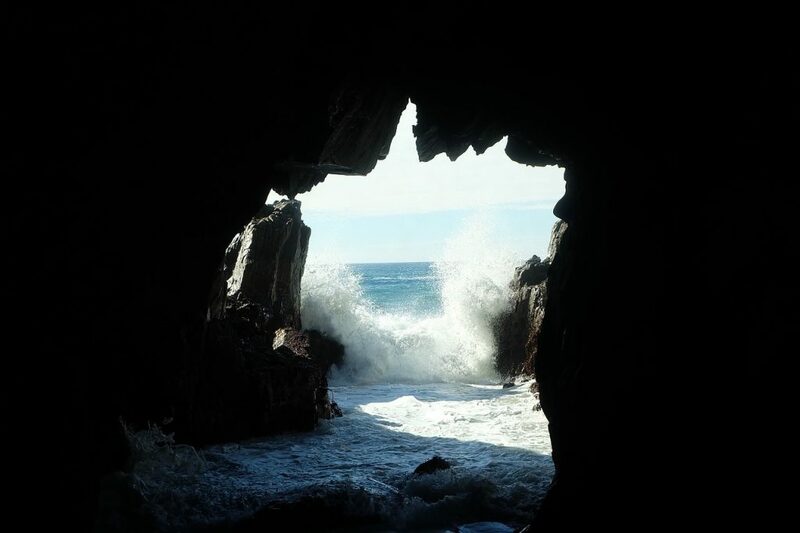 For underwater spelunkers and advanced divers looking for a challenge, La Galleria (near Sardinia) has a cave system that is yet to be fully mapped. The city of Bala was once a resort, a sort of Roman Las Vegas that attracted visitors like Nero, Cicero and even Caesar. Due to volcanic activity and rising waters, it is now submerged in the Bay of Naples. It is a protected site, full of intact buildings and statues that still stand to this day, offering a unique scuba experience. For experienced divers looking for sunken wrecks to explore, there are notable sites all along the Italian coast. The Saint Lucia, near Rome, is one of the better-known wrecks from World War II. The visibility is good, and portions of the vessel are still intact, though split in two and heavily colonized by marine life. Aci Trezza, Sicily, has a large number of wrecks, some of them dating all the way back to Classical Antiquity. The Kent, near Sicily, better known as the “Koran Ship” is a relatively recent wreck site, world famous due to its cargo: thousands of copies of the Koran. It went down in 1978 and lies in about 50 meters of water, and is now home to a variety of lobsters, octopi, and morays. Also in the region is The Capua, a WWII wreck found at a depth of 35m off the Scopello coast. For divers who enjoy exploring unusual geological formations, Italy’s abundant grottos and caves offer portals into another world. Some sites are rich in reef life, while others glitter with colourful minerals. A few favourites are the caves at La grattodicalaporo near Sicily, the grotto at Uzzo Bay near Trapani, and the summit of a submerged mountain, the Ferdinandea Volcano, also near Sicily. For more information on vacationing in Italy send us a message through our contact form and we’ll be glad to assist you. One of the delights of travelling is learning to communicate across language barriers, whether that’s perfecting your hand gestures or adding whole phrases in a foreign tongue to your arsenal. But beware of what linguists call “false friends” – words that look familiar but mean something completely different in another language. Here are a few of the funniest linguistic coincidences in English. Want to thank your hosts for a great stay in Germany? Don’t tell them you’ve gotten them a gift, which means poison. In some Scandinavian languages it can mean poison or marriage, which makes you wonder about their views on matrimony. Obviously, toilet humour is juvenile and silly. It’s also universal. 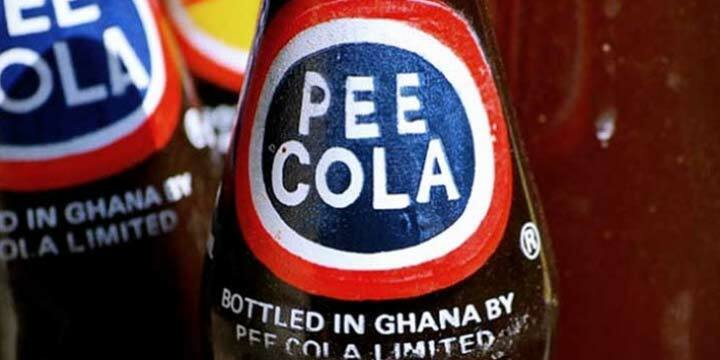 So if you find yourself giggling over Pee Cola, a Ghanian product, that’s ok. It means “very good cola” locally, and by all reports, the name is accurate. If you are shopping in France, be aware that asking for foods without preservatives will get you some funny looks. A préservatif is a condom, and definitely not something added to foods. That said, a préservatif is definitely a healthy choice! In Danish, Norwegian, and Swedish, fart means speed, which explains the road signs warning you of fartbumps ahead. Meanwhile, in Polish, fart means lucky, which explains the candy bar by that name. We’ve got Ivory Snow, the Iranians have Barf Detergent. 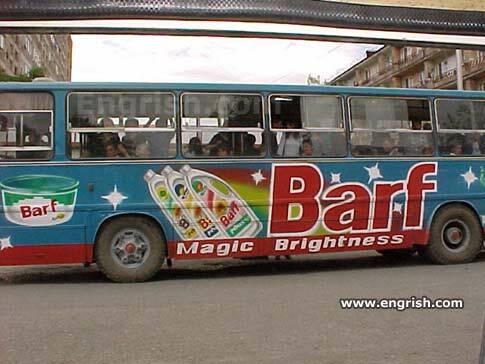 You guessed it: barf means snow in Persian, Hindi, Urdu and Farsi. 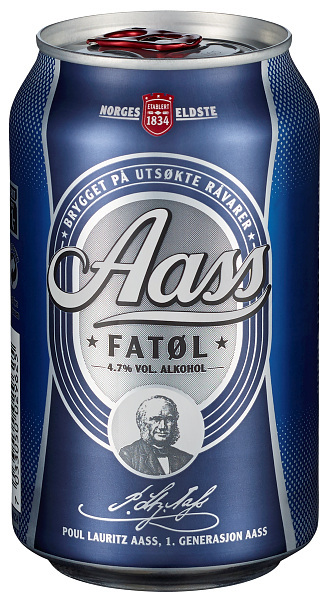 In Norway, if you order an Aass Fatol, you’ll be served a pale lager brewed by one of the country’s oldest beer-makers. According to online reviews, you’d be better off ordering something else if great taste is your aim, but then again, asking a waiter for an Aass Fatol might be worth it. The Romanian word for urinal is pisoar, which is pretty easy for English speakers to grasp. What’s less clear is why a hot beverage made with cranberries, touted as a health tonic, goes by the brand name Urinal, and includes the English words ‘hot drink’ on the packaging. 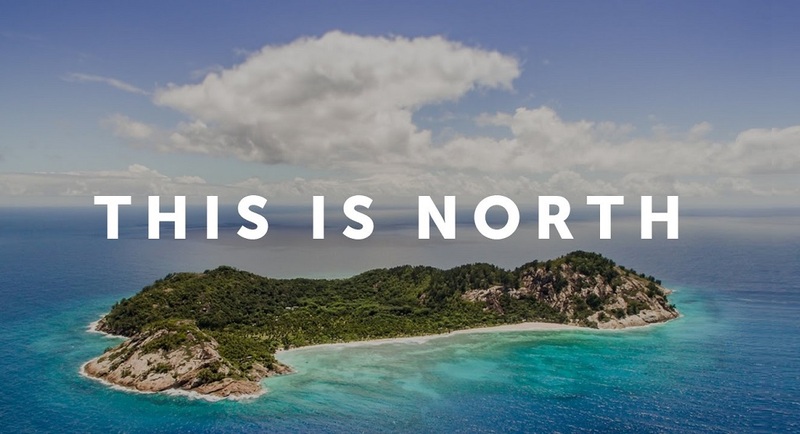 North Island, one of the inner granitic islands of the 142-island nation of Seychelles, is a special spot even within this magical archipelago. A twenty-year conservation effort has returned the island to its pristine state, re-introducing original flora and fauna, and giving visitors a glimpse of how it may have looked to the first human settlers, who arrived in 1609. Only eleven villas are available on the entire island. Our pick is Villa 11. Perched on the granite boulders of North Island’s East Beach, Villa 11 is over 8,000 square feet of decadent luxury spread out across multiple levels, cascading down through a coconut grove to a private beach entry into the ocean below. Villa 11, unlike the other ten villas on North Island is for couples only. In 2011, the newly married Duke and Duchess of Cambridge honeymooned there. Currently Villa North has 42 excellent reviews on Trip Advisor and a 4.5 star rating. To view our other selections of top villas for november click here. You don’t have to put your hobbies and interests on hold when you travel. Thanks to special getaway packages, you can pursue your love of yoga, the outdoors and even ballroom dancing, all while seeing some of the most beautiful sites in the world. Dancing, culinary delights, and great company await lovers of ballroom dance on this spectacular cruise with stops in some of Europe’s most romantic cities, including Rome, Amalfi, Dubrovnik and Florence. 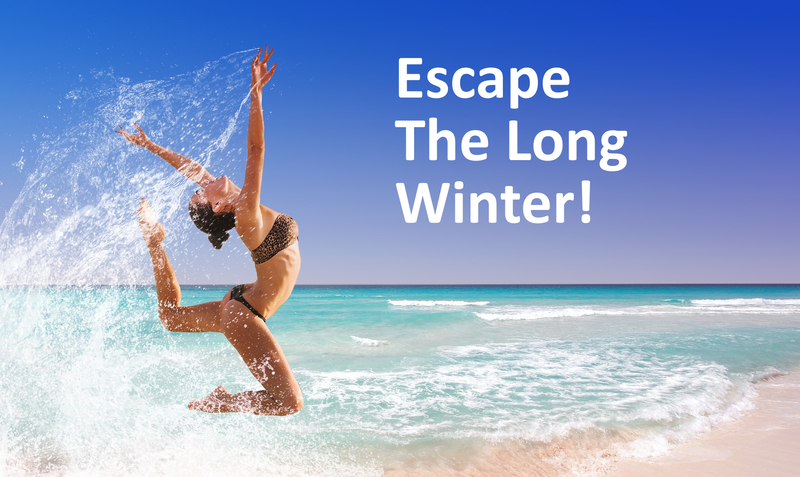 This cruise offers daily classes and shows with a host of internationally acclaimed dance professionals, so you can sail the Mediterranean sea while sharpening your ballroom dance skills. Excursions include private tours of the Ufizzi Gallery in Rome and boat charters in the sparkling grottos in the waters off Sorrento. If you love the thrill observing animals in their natural habitat and enjoying the wonders of nature, this is the trip for you. Timed to coincide with the greatest migration event in the world, this itinerary will take you through Kenya and Tanzania as millions of animals cross the great Masai Mara and the Serengeti savannah. Additional excursions include visits to meet the Masai people, an up-close look at the Ngorongoro Crater, a natural wonder of the world, and a relaxing day on the white sand beaches of Zanzibar. Find your flow in the serenity of the Tuscan hills. Refresh your spirit, broaden your mind and tone your body with classes offered up to three times a day. This package includes guided walks in the serene countryside, a day trip to the stunning Cinque Terre area and of course, a trip to a local vineyard for a delectable wine-tasting experience. Meals are organic and vegetarian, with organic fruit and beverages – even organic beer and wine – on offer. Fair warning: when you book a trip to Florence you should expect to return home a pants-size larger. There is delicious food, phenomenal coffee, delicious gelato, and an abundance of great wine on offer. Of course, Florence is more than just a place to eat, it is one of the great cultural capitals of the world, and you will be met by a rich sense history and the abundant architectural beauty of this magical city. Whenever I travel, the first thing I must get my hands on is the best cup of coffee in the neighborhood. Florence is not short on amazing places to find your morning caffeine fix – try them all until you find your favorite. 2. Climb the Duomo Cathedral. Dare to try to scale the 476 stairs up the dome. It’s worth the 476-step climb up the bell tower to experience the views and the frescos by Giorgio Vasari that line the interior of the dome. If you have the time and energy, climb the adjacent Bell Tower, giving you a view of the Duomo at its best angle. Italy Segway Tours offers day and night tours around Florence using these two-wheeled motorized scooters to check out some of the city’s finest attractions including San Lorenzo church, Repubblica Square, Strozzi Palace, and Porcellino. Once my coffee fix has been satisfied, I am off to look for my gelato fix. It is Italy, after all! My strategy is to try every gelato shop I pass until I find a favourite. If you happen to be passing Gelateria dei Neri 50122 Florence, try the salted caramel. 5. Visit the Uffizi Gallery. In Florence, art is everywhere. But some of the most important works in Western culture are at the Uffizi. This is where you can see works by Leonardo da Vinci, Giotto and Botticelli and Michelangelo with your own eyes. Uffizi also has an impressive collection of Greek and Roman sculptures. 6. Relax at Villa Bardini. When you’re ready for some peace and quiet, spend the day at Villa Bardini. Located at the top of a hill in the Oltrarno district, it features breathtaking views of Florence and the Arno River. The villa dates back to the 14th century, and has only recently been opened to the public. You can take the entire day strolling the formal, manicured gardens and visiting the museums, which often features special exhibits. 7. Book a wine tour. Sign up for a wine tasting, or even better, a wine tasting tour. Some tours offer bicycles rentals, while others include motorized transportation from Florence, if you’d prefer to let someone else to the hard work of getting you there. This month’s top 3 luxury villa picks take us from the Islands of the Northern West Indies, over to the Indian ocean, and concludes on the mountains of Northern Greece overlooking the Ionian Islands. Looking for the world’s best private getaways? These villas are among the finest luxury rentals available for groups, couples and families to rent year-round. North Island, one of the inner granitic islands of this 142-island nation, is a special spot even within this magical archipelago. A twenty-year conservation effort has returned the island to its pristine state, re-introducing original flora and fauna, and giving visitors a glimpse of how it may have looked to the first human settlers, who arrived in 1609. Only eleven villas are available on the entire island. Our pick is Villa 11. Perched on the granite boulders of North Island’s East Beach, Villa 11 is over 8,000 square feet of decadent luxury spread out across multiple levels, cascading down through a coconut grove to a private beach entry into the ocean below. The Artist Ocean Villa is located in the Turks & Caicos, on the world-famous Amanyara International resort, which was designed by architect Jean-Michel Gathy. Gathy is renowned for his sense of scale and his unique approach to mixing European and Asian influences in his work. This five-bedroom ocean front villa is Amanyara’s most private, with a spacious design nestled in nearly three acres of gardens and coastline. The Villa features a dramatic infinity-edge pool, private beach access, lush private garden, media room and a serene private yoga pavilion. Currently Villa North has 308 excellent reviews on Trip Advisor and a 5 star rating. Zakynthos Island is located on the Ionian coast of Greece, south of Corfu and Kelafonia. The Emerald Deluxe Villas are comprised of two exquisite traditional stone villas with breathtaking views of the deep blue Ionian Sea. Built using traditional architectural methods and materials, each villa has its own private grounds, private swimming pool and incorporates beautiful decor. Though the design is traditional, the facilities are modern and luxurious, including a jacuzzi, fine linens and even gaming consoles, by request. This is a wonderful choice for families, with two outdoor pools, including one just for children. Currently Emerald Deluxe Villas has 58 excellent reviews on Trip Advisor and a 5 star rating.